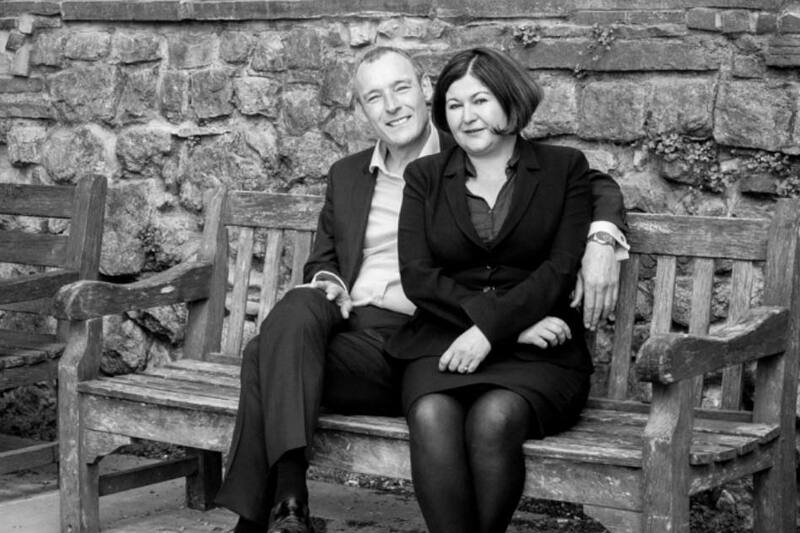 We began working together in Estate Agency when David was a Director with a large company, overseeing three branches. I worked full-time for the NHS and started to work with him on Saturdays. I found the property sector to be compelling and with David’s deep knowledge of the Estate Agency business meant I was able to build my own experience quickly. We live and breathe property. When we married I moved to his head office and then on to another Richmond-based firm as a negotiator. With David always on hand with great advice – I really thrived. David took on a trouble-shooting role and moved to take over a failing office in Parsons Green. His success was hard-won and defining. We are ambitious people. After two years David wanted more challenges and I was keen to establish a more personal, client-centric way of working. We both shared a drive to sell property in the area where we live. David and I are highly competitive while being mutually supportive. We work in a very similar way and it felt right to set up a business together – as a married couple, our honesty and communication is unparalleled. We launched in February 2013 and our first completion in Denbigh Gardens followed shortly afterwards. It has been the most challenging journey we have ever taken, the work never stops but neither does the fun. INTERESTED IN HOW MUCH YOUR HOME IS WORTH?